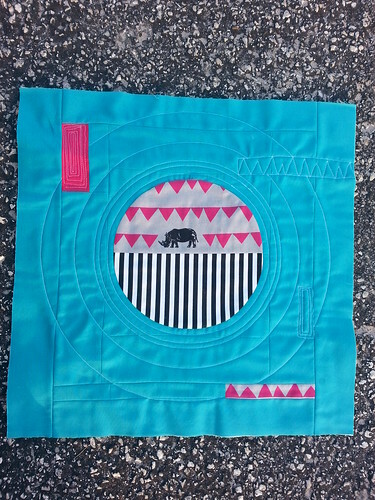 Pillow top progress, a photo by Sew Festive on Flickr. I've been working on some pillows for my new couch, starting with this fabulous Echino Decoro rhino fabric that I had.to.buy. I'm loving the pieced circles and graphic look and my attempt at whimsy. I eagerly await a photo of the pillows on the couch! I love this! I'm a big fan of echino prints. Reminds me of a record player. So cute, I LOVE the stitching!